And now......time for a little something to get you in the Christmas mood. The setting and costumes are wonderful by the way - filmed at Blists Hill Victorian Town, Ironbridge, in England. Here's the project I started in October - a paper pieced ball. (you can scroll down to November's posts to see it being made). I am quite pleased with the way it turned out. I'm sure the little one (and her sisters) will enjoy playing with it at christmas time. Look who dropped in for a feed. A regular visitor to our bird feeders are King Parrots. This one is a male, his partner was too shy to come down. Her colouring is mostly green. Always lovely to see them. 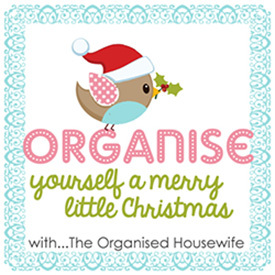 With christmas just around the corner, here is a great way to get organised. go and take a look around, you'll find lots of fab ideas there. A little buddy for this guy. 'Don't forget to show 'em your tail'. Hi there lovelies, just a quick update on what I am working on at the moment. 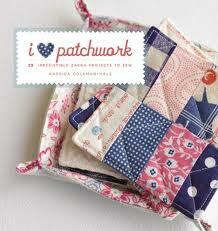 It's a patchwork ball ......paper pieced and hand-stitched. and it's already halfway finished! This patchwork ball will be a christmas present for our niece's baby, Summer. I will show you a picture of the ball when it's finished.